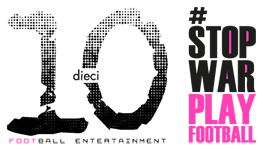 Gianluca Vialli is an Italian former footballer who played as a striker. Since retiring, he has gone into management and punditry and is a commentator for Sky Sport Italia. Vialli started his club career at Cremonese in 1980 in his native Italy where he made 105 league appearances scoring 23 goals. His performances impressed Sampdoria who signed him in 1984. 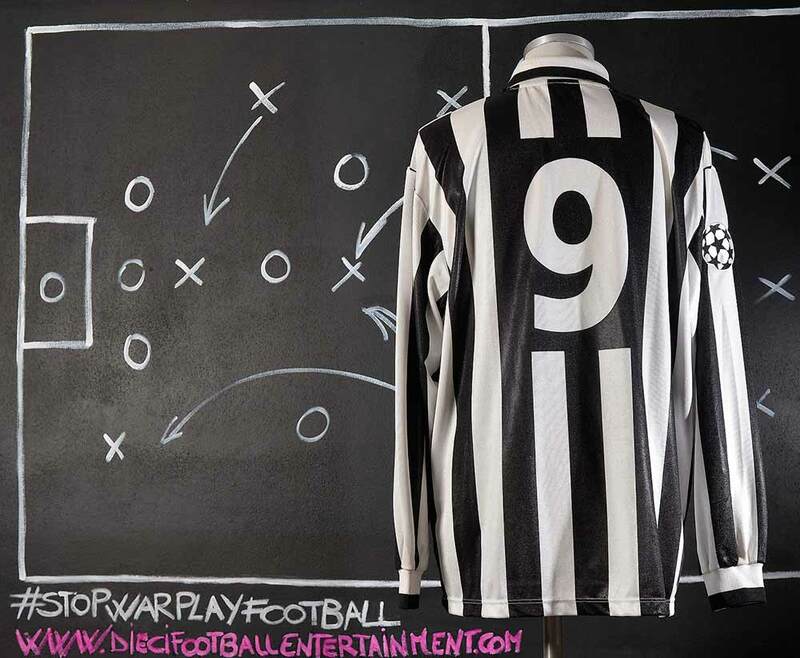 During which time he scored 85 league goals, won 3 Italian cups, the Serie A and the European Cup Winners Cup. 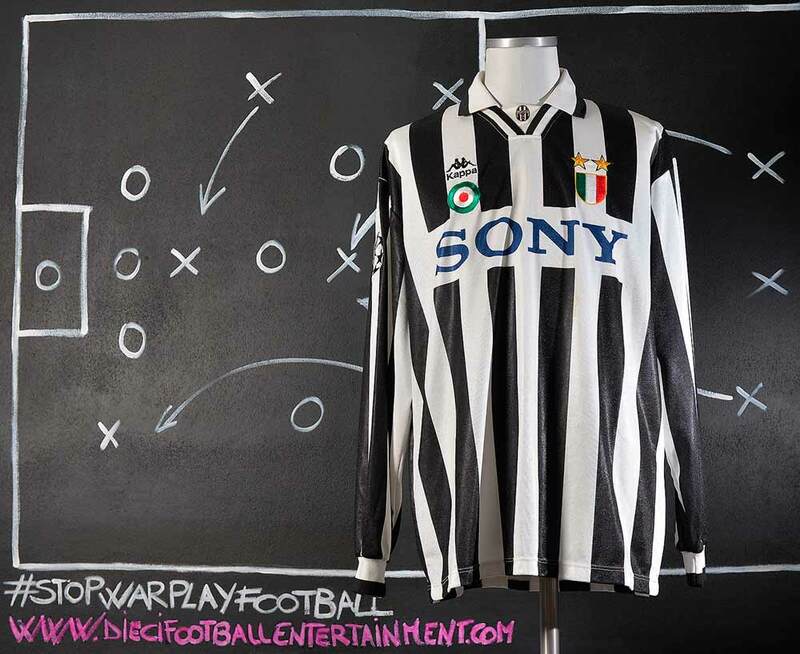 Vialli transferred to Juventus for a World record £12.5 million in 1992. During this time he won the Italian Cup, the Serie A, Italian Supercup, UEFA Champions League and the UEFA Cup. In 1996 Vialli joined Chelsea and became Chelsea player manager the following season. In England he won the FA Cup, League Cup, UEFA Cup Winners Cup and UEFA Super Cup. He is one of ten footballers to have won the three main European club competitions, and the only forward to have done so; he is also the only player in European footballing history to have both winner’s and runner’s up medals in all three main European club competitions. At international level, Vialli represented Italy at the 1986 FIFA World Cup, and at the 1990 FIFA World Cup, where Italy finished in third-place on home soil. He also took part at UEFA Euro 1988, helping his nation to a semi-final finish, and was elected to the team of the tournament. During his twenty years long career as a professional footballer he scored 259 goals at club level, 16 goals with the national team, and 11 goals with the Italy national under-21 football team, for a total of 286 goals in more than 500 appearances. Vialli was a member of Italy’s under 21 team for both the 1984 and 1986 UEFA European Under-21 Football Championships where the Azzurrini finished third and second respectively. 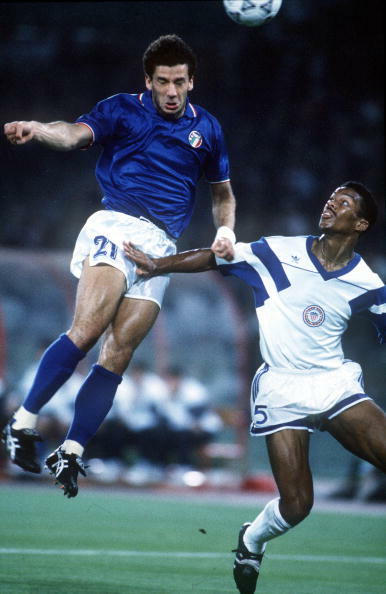 Overall Vialli represented the Italy U21 team 20 times, scoring 11 goals. He was also the top scorer in the 1986 Under-21 European Championship, with 4 goals, where Italy lost the final to Spain on penalties. In 1985, Vialli made his debut for the Italy senior team in a friendly match against Poland. 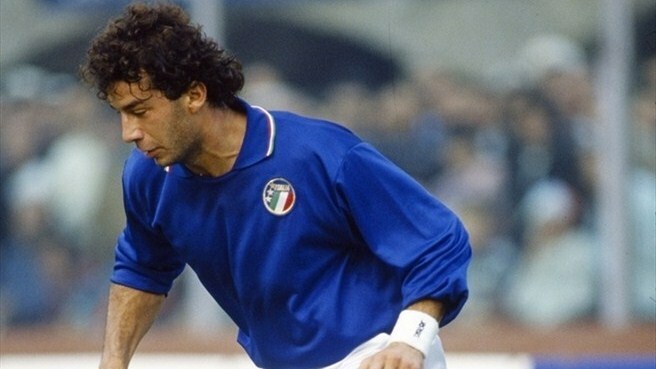 He was included in Italy’s squad for the 1986 FIFA World Cup held in Mexico, appearing with an all-shaved head as a substitute in all four of Italy’s matches. Vialli scored his first goal for Italy in a UEFA Euro 1988 qualifier against Malta in 1986. He was included in Italy’s squad for the finals of the Euro 1988 competition and scored the winning goal against Spain in the group stage. Although Italy were knocked out by the Soviet Union in the semi-final after losing 0–2, Vialli was named in UEFA’s team of the tournament. With the 1990 FIFA World Cup being held on home soil, Vialli named part of the squad and he was expected to make a huge impact for the hosts. However, after failing to score in the first match against Austria, despite setting up the winning goal via a cross, Vialli missed a penalty against the United States in the next match, hitting the lower near post with keeper Tony Meola diving the other way. He was subsequently dropped from the team in favour of Roberto Baggio and Salvatore Schillaci, who had scored the winning goal against Austria after appearing as a substitute. 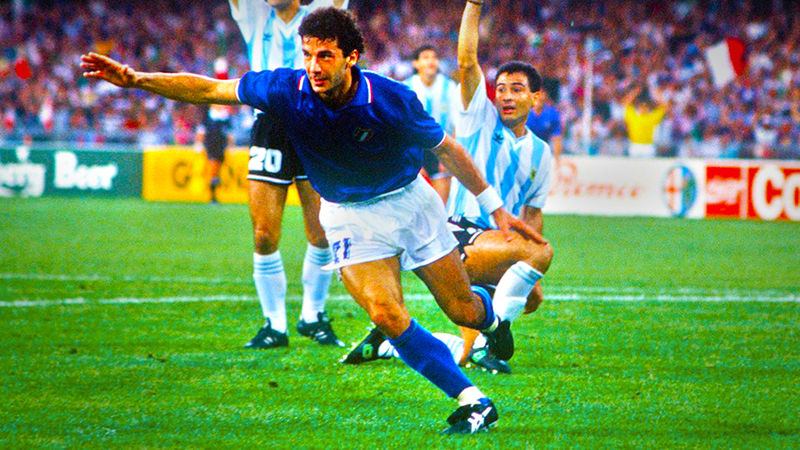 Vialli returned to the team for the semi-final against Argentina and played a role in Italy’s opening goal after his shot on goal was blocked by Argentina keeper Goycochea and the rebound fell to Schillaci. 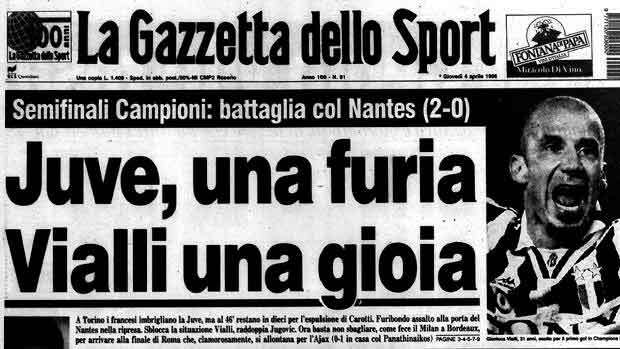 He was substituted in the second half as Italy were eliminated on penalties, eventually finishing the tournament in third place. 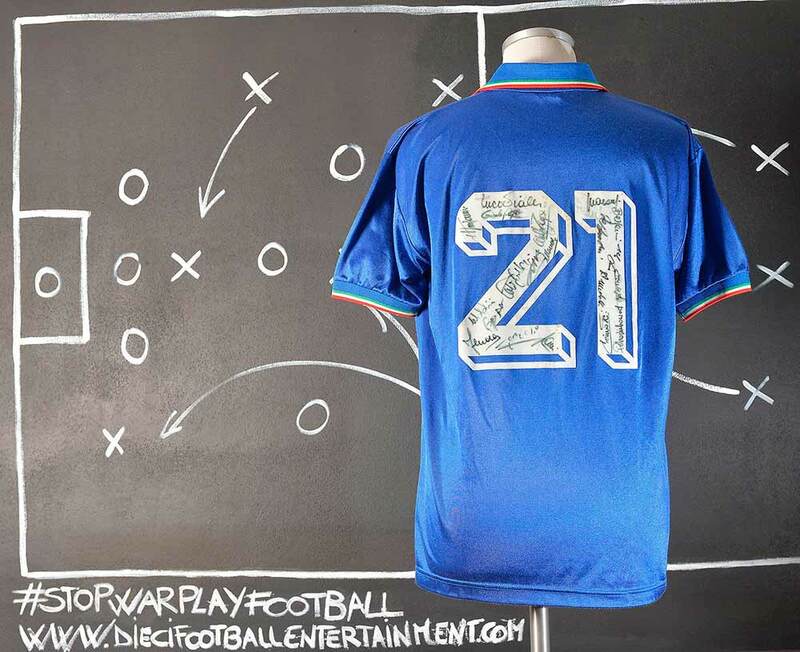 Because Italy assigned jersey numbers alphabetically to players for the World Cup (beginning with defenders, then midfielders, and finally attackers) Vialli wore the number 21 during the World Cup. Overall, he finished the tournament with 2 assists, which were both provided for the golden boot winner Schilacci. 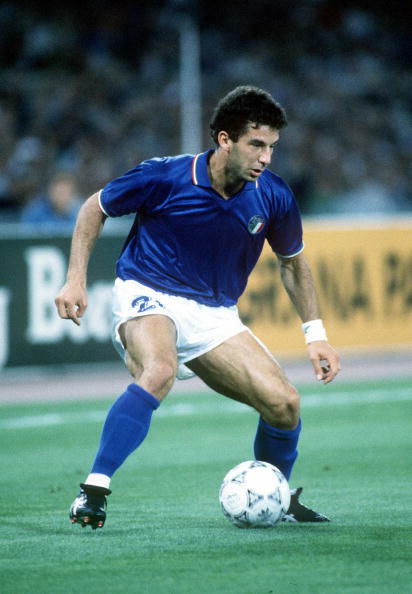 Vialli returned to lead Italy’s attack during the qualifying games to the Euro 1992 Championship under Vicini, scoring in Italy’s 3–1 win over Hungary and 2–0 win over Cyprus. However, Italy missed out on qualifying after finishing second behind the Soviet Union in Group 3. Vialli made his last appearance for the Azzurri in December 1992, due to his strained relationship with coach Arrigo Sacchi bringing his international career to a premature end, despite his club success during the 1990s. It is rumored that Vialli played a prank on Sacchi, which was the reason for his dropping from the national team. 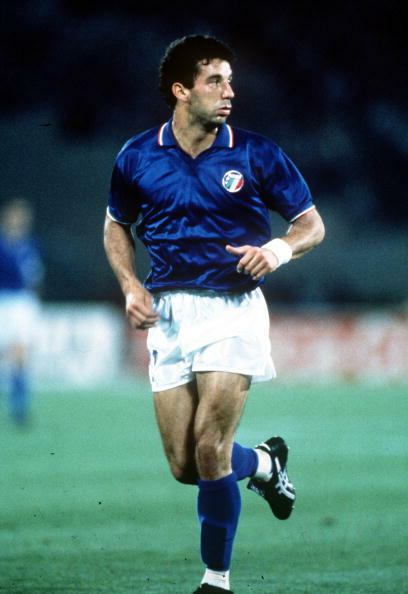 Overall, Vialli made 59 appearances for Italy, scoring 16 goals. During the Fifa World Cup “Italia 90” the team used a Diadora shirt with a different neck. 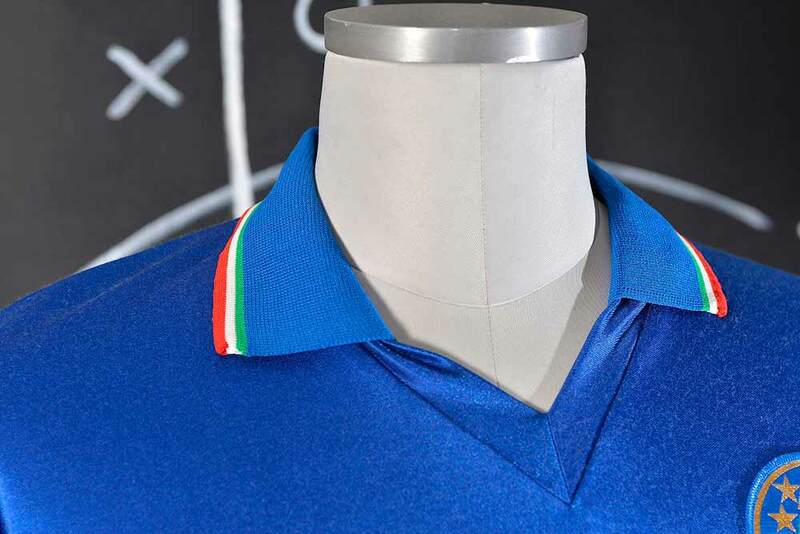 Italy’s shirts made by Diadora had the colors of the Italian flag on neck’s edge. But usually the colors of the neck were starting from the edge with green color and then white and red. 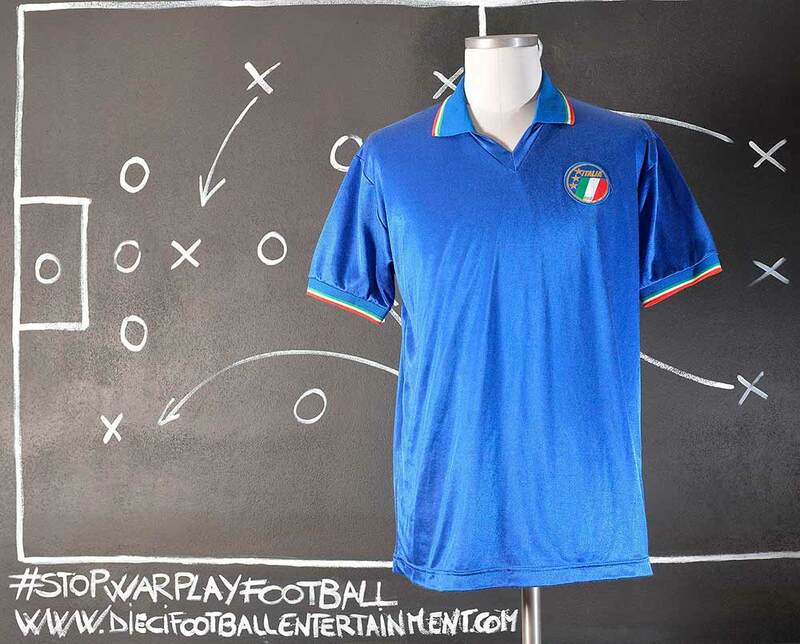 Only for the Fifa World Cup “Italia 90” the colors on neck were inverted starting with red color and white and green. That was the main difference from regular shirts and World Cup 90 shirts. Considered one of the best and most consistent Italian strikers of his generation, Vialli was a complete, dynamic, determined, and versatile forward, who was capable of playing anywhere along the front line; throughout his career, he was played on the wing, or in a deeper, supporting role, although his preferred position was in the centre as a main striker, where he could best take advantage of his offensive movement and opportunism inside the box, as well as his keen eye for goal. A prolific goalscorer, Vialli was known for his shooting power and accuracy with both feet as well as his head, which allowed him to finish off chances both inside and outside the penalty area. 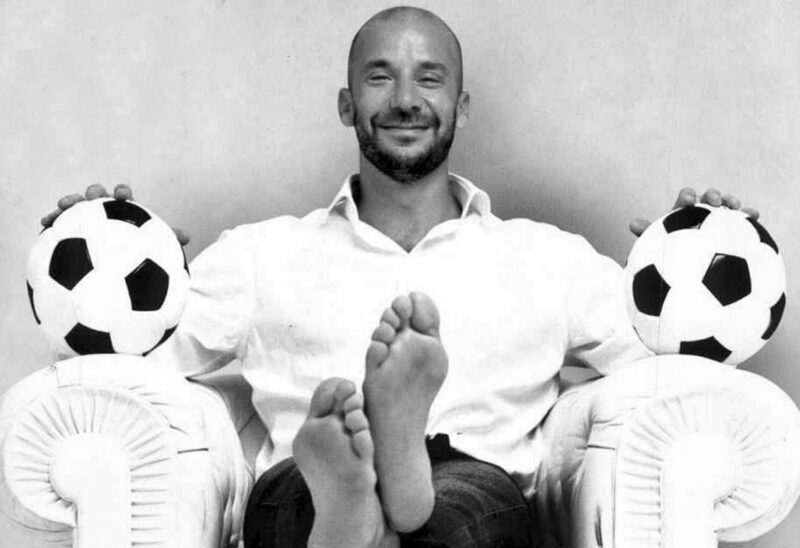 In addition to his ability to score goals, Vialli was also capable of playing off of and creating chances for his teammates, courtesy of his good vision, tactical intelligence, and distribution, which also occasionally saw him play in deeper roles in midfield, as a playmaker or attacking midfielder; he was also endowed with good technical ability, dribbling skills, and ball control, which allowed him to play the ball first time, or beat opponents and retain possession under pressure. A quick, tenacious, hardworking, and energetic player, Vialli was gifted with pace, physicality, and stamina, and was known for his willingness to press opponents off the ball in order to win back possession. 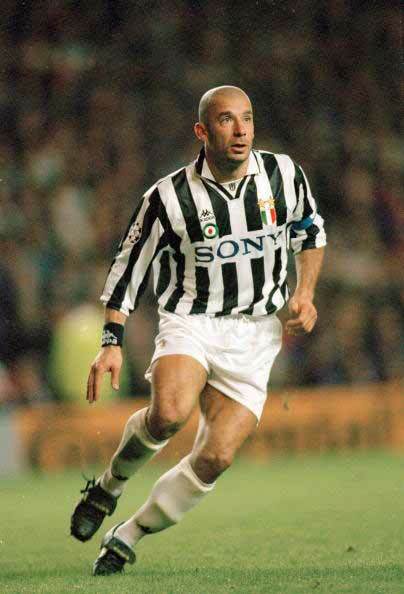 Vialli was seen as a new breed of striker in Italian football, who combined technique and goalscoring ability with speed, athleticism, and physical power. Because of his outstanding athleticism, strength, and agility, he also excelled in the air, and had a penchant for scoring acrobatic goals from volleys and bicycle kicks, which led his Juventus manager Marcello Lippi, and president, Gianni Agnelli, at the time to praise him, and compare him to legendary Italian striker Luigi Riva. In addition to his footballing skills, he was also highly regarded for his dedication, leadership qualities, strong mentality, and his charismatic influence on the pitch. Because of his outstanding athleticism, strength, and agility, he also excelled in the air, and had a penchant for scoring acrobatic goals from volleys and bicycle kicks, which led his Juventus manager Marcello Lippi, and president, Gianni Agnelli, at the time to praise him, and compare him to legendary Italian striker Luigi Riva.